I don’t like it as a makeup remover…too oily. But I like it in all my DIY oil recipes for body, hands and nails. Maybe you can check out what Wendy said on my Facebook page regarding using culinary oil for skin. I’ve come across some oils sold as pure oil and can be used for both. Maybe the grapeseed oil you bought is such? I’ve been using culinary grade grapeseed oil for 2 months. So far my skin is okay and don’t show any sign of breakout. That’s great! I haven’t attempted using it for my face or even on my body yet. Yes, it should be fine…best if the oil is organic and cold pressed too. i saw this SoGo! coldpressed grapeseed oil at the supermarket… i would use that on my face if it’s organic as well. Yep, I’ll probably give those organic cold pressed ones a go for my DIY usage. I can’t remember…might have tried it briefly. I used to use DHC Olive Virgin Oil. 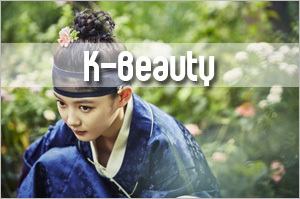 The company claims that it is organic, and they purify it so that it can be applied to the face and not clog pores. That’s as close as I’ve gotten to putting EVOO on my face. 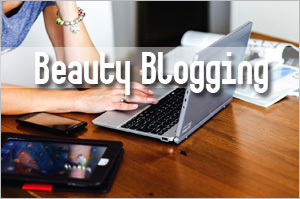 I have heard of using jojoba oil to remove eye makeup, but I have not tried it yet. It’s supposed to double as an eye moisturizer, so you save on eye cream. DHC’s Olive Virgin Oil uses other ingredients in the formulation so technically, it isn’t that pure. I’ve tried the product and it’s okay. If you use pure oil, they do not emulsify and so the process is different from using something like DHC’s. I used the product as well, it is good and quite thicker than other cosmetic oils that I tried before but the price is really unreasonable. Your post really makes me think of getting a fine culinary oil for my face! For face, I would really suggest getting cosmetic grade. It is not that more expensive. The reason is it’s hard to pick out which culinary oil is well processed. I would keep culinary oil to my body. I’ve been using 100% organic cold press coconut oil bought in food section on my face and body..
my 20 year old granddaughter uses coconut oil bought in beauty section.. I was just wondering if there is a difference… ?? I think the difference might be minimal…really depends on the quality. It’s just that some people react better to cosmetic oils. I wouldn’t mind using the cooking grade oils to DIY my own oil cleanser (adding an emulsifier to the mixture). Will try it when I run out of my current DIY oil cleanser mix. Hope it’ll work as well as your current oil cleanser mi if you do try the cooking grade. For cooking I switched from Olive oil to grape seed oil after hearing that its high on anti oxidants 🙂 and easier to digest. 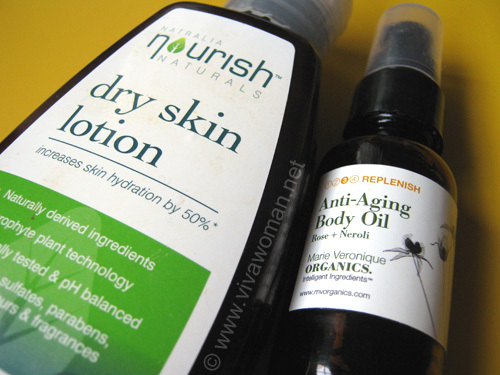 I never use oil on my face because of the oily skin….but definetly used both the oils for my body in winters. Hi….Never used oil in either face nor body…. Is it ok for acne prone skin? 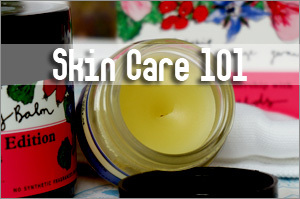 And also….will the oil in body or face leaves skin oily or sticky? i lived in a humid place…. It depends on the type of oil. Grapeseed oil is not oily but the one I used was cosmetic grade…not so sure of the food grade. Actually EVOO is not too oily; I use it every day on my hands and it absorbs very quickly. but for someone who is acne prone/clogged pores, is it ok to used EVOO? I have acne that I have been struggling to get rid of. Od course I never had it when I was a teenager but have it now in my 20s. I used olive oil on my skin with a few drops of tea tree oil. My skin looked better over night! I’m using coconut oil and olive oil on my face. At some point I also used avocado oil. All of them works fine for me. So, my main concern isn’t whether cooking oil can be used on my face, but whether it can be applied on eyes. As using oil seems to be the only way to stop (not reduce) my eye wrinkles, I can’t do without it. Should I use cosmetic grade oil on my eyes instead? At the moment, I am using a mixture of both in my beauty routine. Amanda: my concern is that we may not really know how to pick the correct food grade oil for our skin and end up with something that may not have so much nutrients. So I would still advice using cosmetic grade on your face. But say if you have a bottle of food grade oil and it’s organic and cold pressed, give it a try and see if it works for you. I was told that those in dark bottles are better. Btw, is coconut oil oily and does it smell? I’ve read so much benefits on it but not really used it before on its own. It’s not only, and organic cold pressed coconut oil should not have a smell to it at all. I’ve used it on my skin and hair. Coconut oil has so many benefits. One is that it anti bacterial properties help reduce acne. I have both only skin and prone to outbreaks and using coconut oil and jojoba oil in my hair and face improved both. I never knew that you could do this. It doesn’t really appeal to me though. For now just sticking to creams! Sylvia last post is: How do you define STYLE? I think cooking grade oils can be used but I would say that I would use them for massage or treatment purposes than for regular nightly usage …for that I would buy regular facial oil…cooking oils are I feel a little heavy for skin too and before I read the argan oil piece, I thought cooking oils were better than cosmetic grade oils as they undergo less processing!!! now I know, it doesn’t hold true for all…. Swati last post is: Unvieling the new trailer of Yardley of London featuring Katrina Kaif !!! Yes, I agree with you. I’m more willing to use cooking oil on my body than face. There are probably some oils that are good enough but just that, we can’t be sure. So I’ll rather use cosmetic grade for my face especially if the oil is for daily use. 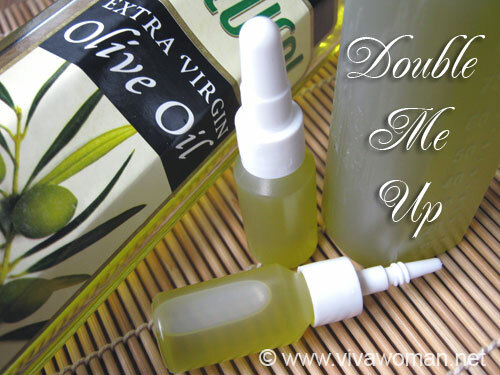 I’m running out of my Olivella moisturizer oil, and am thinking of using the EVOO for my face. I’m really torn here! As I read, the ingredients contained olive oil, lavender oil, orange oil and tocopheryl acetate or vitamin E. I think these two oils was added not only for their good effects for the skin but also for neutralizing the smell of virgin olive oil. So I’m thinking of mixing the EVOO cooking oil with some lavender essential oil and one capsule of vitamin E and using that oil for my face. But I’m wonder if those ads on the bottle of the EVOO are telling the truth about the oil ingredients? Hard to say but I think food grade oil, depending on where they come from, might be subject to more stringent regulations than cosmetic oils. I understand that it’s best to use those contained in dark bottles as it means they still have the nutrients. Maybe you should just try based on a small batch. I’ve just read your entry about products contain citrus peel oils, and it completely changes my view *sigh* I’ve always thought citrus oils are good for face:( I’m still thinking about using culinary EVOO for my face, but I do think I should try it on a small area before spread my face with that oil. I’m convinced that in the old time when there were no cosmetic oils, those women surely must use whatever they had on hands, which were cooking oil, especially olive oil. I suppose those in capsules are those vitamin capsules? I’ve tried those on my face and they work fine. In fact, EPO works great for me in curbing inflammation caused by acne. I also use them in my DIY concoctions. I use coconut oil as a makeup remover — cheap and gets the job done. I tried EVOO on my face before, and broke out (I don’t even have oily skin), but I like using it on my body. My favorite face oil to wash/moisturize with is jojoba oil, and even use it in my hair sometimes (not sure whether this oil is even used in cooking?). Other than that, the only one I tried on my face was organic hemp seed oil mixed with sugar for a face scrub. It worked great! I’ve been using sweet almond oil (Aura Cacia) on my face for almost a month now. I apply it only at night before going to bed. I don’t use it during the day, i’m afraid it would make my face oilier/greasier. So far, it has not broken me out (my skin is very sensitive) which is great and I don’t wake up with a greasy face! I’ve also heard great things about grapeseed oil and really wanted to try it but couldn’t find cosmetic grade ones. So i got the Sadaf pure grapeseed oil which is for cooking. I’m still afraid to use this on my face though, so I only apply it around my eye area. If the oil is packaged in a dark glass bottle and if it is organic and cold pressed, then it might be good enough for the skin. Otherwise, I’ll prefer to keep it for the body and use cosmetic grade oil for the face. I suppose it’s ok to keep it for the hands or body but if you are creating something for the face, best to rely on cosmetic grade. I use both cosmetic and food grade oils on my face, and generally choose food grade if those are available. It’s cheaper 🙂 and I also get to use a bigger variety because I can always use them for cooking in addition to on the face. You’ve used a lot of oils so I imagine you have plenty at home! I am thinking of getting a bottle of sweet almond oil for cooking for my body but it’s in transparent bottle and quite ex. I’m using extra virgin coconut oil as body mostuirizer. I didn’t tried it on my face, as I have my skin creams for it. But as my body skin is very dry, the coconut oil is amazing. Just need one little drop for each part: knees, feet, legs. The absortion is very fast and has a nice scent of coconut. Okay, I’m going to give coconut oil a try real soon! Oh my, I love the apricot kernel oil that I’m using but my body and face loves it even more. I’ll never, ever, ever again buy normal moisturiser. I’ve been using the same oil to clean my face at night and am hoping it’s going to keep the wrinkles far, far, far away from my face. Hi! 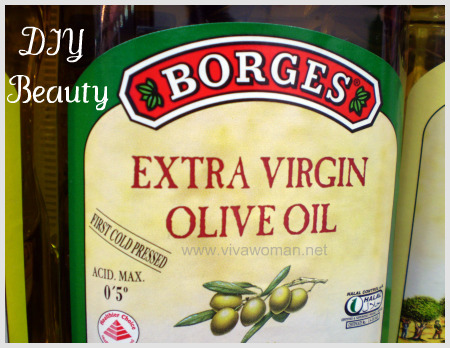 I’m a guy but I use extra virgin olive oil for my face as a massage oil every night. I didn’t have any breakouts and my skin became more radiant. I massage it using my lower palms then gently pat and slap it. It’s maybe oily but the skin absorbs it really quickly. Also I put vit e oil on it as well as drops of tea tree oil. I can say it’s good that you massage your face with it to prevent aging and wrinkles and by doing so, you help your skin absorb all the goodness of olive oil. Culinary or Cosmetic Argan oil Grades are pretty much the same & can be used 4 both Purposes ! Perhaps other kinds of oils , you might need to Follow a pharmacist Advice & instructions ! Awesome article! 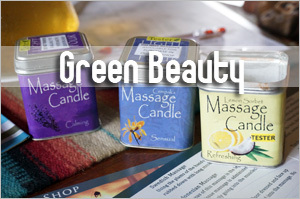 A great way to save on money and possible find a more organic alternative. JM Expressions last post is: Finding The Right Foundation Color! Oh there is a line of cosmetic grade oil at GNC? In Singapore? I would be keen to know how much they sell them. It could be too rich. I found grapeseed oil to work well around the eye area. Just chanced upon this post… I’ve been using food-grade Grapeseed Oil on my tummy for a few months now. I started using it to prevent stretch marks as I’m pregnant and I have not seen any marks formed so far (I’m 5.5 months in). I’m also using the oil to massage my face when I do my oil cleansing routine. I bought the oil at Vom Fass, a unique concept store with two branches–one at MBS, one at ION–that sells quality oils, liqueurs and the like. Most of their products are contained in barrels. You buy an empty bottle in the size you want and pick the product you’re looking for. They will bottle the product on the spot for you. The Grapeseed Oil I bought is food-grade and it was recommended to me by the Austrian Manager at MBS who by the way is extremely knowledgeable, because of the high level of vitamin E. It’s meant to be super for preventing stretch marks. Before I eventually used it on my face, I also called Vom Fass to ask whether it would be ok. The manager told me that food-grade oils are of a higher quality than cosmetic grade oils because food-grade oils are meant to be ingested directly into the body, hence higher processing standards are needed. I have not had any allergies or spots so far from using the oil on my face. In fact, my blackheads are much less obvious after I do oil cleansing with this oil… like what you mentioned in one or two of your posts… I use it on my mum and husband when doing facial massages as well. They both love it. Interesting points! I was under the same impression but someone in the beauty industry gave me a different view so I’m still a bit confused. But in any case, I don’t mind using food grade oil for my body for sure. I think if the oil is cold pressed, they should be pretty good. Thx for the reply though it had been sometime after I last commented. May I know what was the ‘insight’ from the beauty industry about oils? Just curious to know. Anyway, I believe beauty industries will try to speak good of cosmetic grade oils for 1) it’s one of the products/ingredients that keep the beauty industry moving, 2) the profit margin is very high compared to culinary oils. I mean, after manufacturers buy non-food grade seeds/nuts/plant parts for lower price than food0grade ones, to extract non-food grade oil from there, add in a few chemical stabilisers, then bottle themto sell for a few folds more than culinary oils. Even if they used the same food grade oils to manufacture into cosmetic oils, the consumer will be paying for more than what is necessary for it. Kind of a rip-off. So I’ll still gladly stick to culinary oils even for skincare when I need. It’s been awhile so I can’t remember specifically but only recall that this person mentioned that food oils are not too great for the skin because it doesn’t have as much nutrients. I haven’t looked into it so am not too sure. I am using NOW oils and don’t think they’re unrefined nor cold pressed but they work well. So it really depends how far you want to venture. 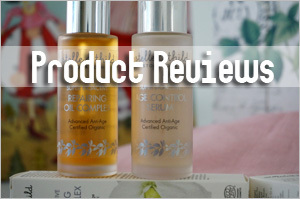 I am inclined to agree with your views that cosmetic grade oils might be overhyped. I used Organic Cold-pressed Grapeseed Oil for my skin! Like nahsiep, I used it for my OCM regime too. But I do slather Grapeseed oil before my moisturizer, and over my eyes too. By far, it doesn’t seem to clogged my pores nor formed any millia seeds, and I find it heals open wounds nicely too (when I extract a pimple or hard plug). It also does help fine lines below my eyes. But I only use them during my night regime, coz’ it’s a little too oily for day use, IMO. Hence, I also believe food-grade oils are good enough. I’m a little more conservative so I bought the organic ones, just in case. And I also read that it would be best to be “cold-pressed” if to be used on the skin. Many Many Thanks for your site! Ever since I’ve tried some of your home-made facials, it helped my skin alot! In fact, it worked really well with my own set of commercial products! Sort of like speed-up the process! Most importantly, it’s economical! I’ve saved a bundle now! Thank you!! 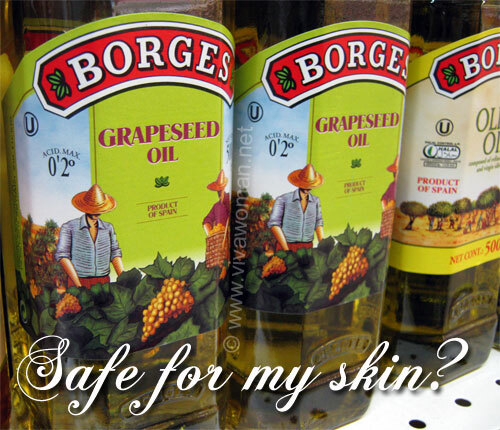 I love grapeseed oil…it was the first oil I tried and it helped with my pores. It’s not oily and absorbs quickly. Love. That’s great…I suppose you need to experiment to find something that works for you. I find Jojoba rather oil for me. The other three works well for me. By the way cold pressed Jojoba oil has gone in a long way in helping my skin clear of its acne problems and breakouts. Bought Jojoba and Avocado cold pressed virgin oil from Amazon. Is it cold pressed? The quality would be better but based on experience, I think even the normal ones like the one you mentioned can help somewhat. I seriously believe that if its safe for eating it is safe for putting on your skin. If you cannot eat it, then don’t put it on your skin. Your skin is the largest organ of your body and believe it or not, what gets absorbed by the skin, bypasses the liver unfiltered going right into your blood stream. Not really good. It makes one think twice what they are putting on their skin. 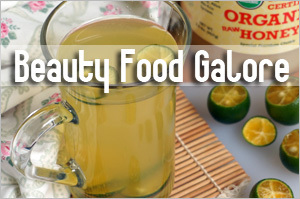 It is safe to use food grade oils around the eyes. Safer than toxic creams. I remove eye makeup with organic extra Virgin cold pressed coconut oil miked with organic extra virgin cold pressed sesame oil. If you have oily skin, use coconut oil. It will prevent break outs and leaves skin beautiful. I agree. I’ve been using some of them and they work well. I also like them better than using chemical laden cream. I have been using organic cooking grade oils on my face for about 6 months now and my skin has never been better. Although for the first few months I had breakouts….guess I was detoxing. I have had success with EVOO, Grapeseed Oil, Almond Oil and Jojoba. I’m going to try Sunflower. Jojoba is pricey so I lean towards the others. I have combo skin prone to breakouts (I’m 50 yrs old, not many wrinkles). I use the oil for cleansing and moisturizing. They work great. My 15 year old daugther had bad acne and then I put her on a regime and her skin cleared up. Glad the oils is working well for you and you daughter. Honestly, I think they’re the best. My current faves are sweet almond oil, argan and avacado. THANK YOU SOOOOOO MUCH FOR THE ARTICLE AND COMMENTS!!!! I’m sorry to be shouting, but the info I got here surpasses everything I have been reading from other websites!!! I just started using organic jojoba oil for my ubÃ«r sensitive, acne prone skin, after using Manuka honey as a cleanser. It has worked so far… At least I’m into my third week. I will try out grape seed oil from NTUC.. 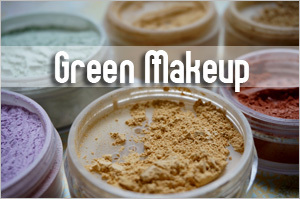 Try to use cosmetic grade if you can for better skin benefits. Using cooking oil probably won’t give you too much problems but it may not benefit as much either. Nice post! I usually just use culinary olive oil and coconut oil for my skin, but for the other oils, I order cosmetic grade ones. Don’t know why actually… I guess here in the Netherlands culinary oils available in supermarkets have been processed a lot..
I’ve linked to this post from my blog by the way, hope you’re okay with that! Sure! Thanks for the link. And like you, I prefer cosmetic grade of oil for my skin (especially my face) too. Hiiii I’m from Philippines, based on the articles that I perused grapeseed oil is proven to be very beautiful on skin and I’m so excited to give it a try! But I can’t find grapeseed oil in the market that are labeled “cold-pressed and organic” so sad. But I saw this (Olitalia grapeseed oil), no “cold-pressed and organic” labeled but when I take a look at the ingredients, it’s only grapeseed oil. I’m hesitate to buy it. I wonder if it’s organic and 100% pure or cold-pressed. What do you think? If you’re using it on your skin, it’s best to use cosmetic grade. It is more suitable for skin than the cooking grade. thanks so much for your post.for me, i used coconut oil for my skin for two months, and it was good for me. I have never thought about the difference between cooking oils and cosmetic grade’s oils, until i saw the same coconut oil was placed both in cooking oil shelve and near the jojoba oil that cosmetic section. and then i browsed on the internet (some in English, some in Chinese). 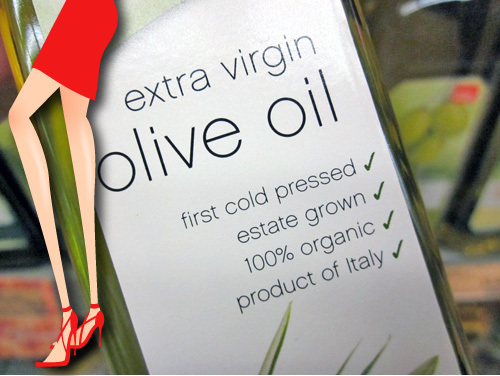 i found that, the most important things of a good oil are : cold pressed, unrefined, extra virgin and organic. it’s no doubt that extra virgin should be the top priority, to make sure it;s pure enough. and cold pressed which means its nutrition and scent wont be affected by high-temperature extraction. (some cooking oils like sesame oil, will be expelled after heating the sesame to enhance the flavor of sesame ), and unrefined means no chemicals or artificial ingredients added. choosing organic is for the your own good and also for the world. so, i think if u choose oils by those criteria, u can make sure you get the whole and pure nutrition from the oil, no matter for eating or applying on face. and you may also google the characteristics of different oils to get to know what cooking oil is for skin. by the way, i am now using olive oil to be my cleanser (yes, olive oil in cooking oil section), and going to try sunflower seed oil as well:) hope this message can help!! Coconut oil! 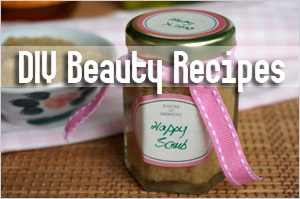 Wonderful for your skin and it can be used in lipsticks, deodorants and creme eye shadows! Ah…that’s true! Coconut oil is a skin saver! I use grapeseed oil straight from the grocery store on my face every night. Only 3 drops warmed in my hands. It has replaced my creams and lotions. 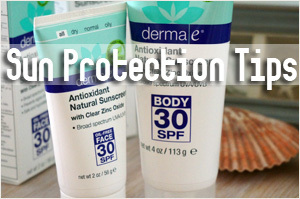 I have very sensitive, blemish prone skin and it has helped my skin clear. 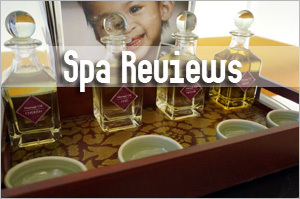 I am also a massage therapist and it is all I use for massage oil. My thoughts are if you can’t ingest it, why would you put it on your skin (which absorbs any chemicals used in refining cosmetic grade oils). Olive oil and coconut oil have proven too heavy for my skin but grapeseed is slightly astringent by nature and works very well for me. 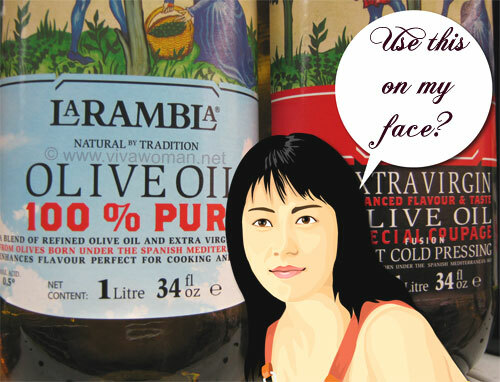 I’ve been using cooking oils as a replacement for many years as moisturisers and they work wonders. Especially olive oil. Works well for OCM. Sunflower cooking oil as well when I don’t have olive oil. Coconut oil for hair and skin. In Ayurveda, you don’t put anything on your skin that you cant eat. Come on everyone you haven’t heard of this? Start questioning what you are doing instead of being taken for a ride by the corporate chemical companies! Would you nibble on Chemical preservatives? then why put them on your skin? Everything you put on your skin ends up in the bloodstream and those chemical nano particles are not good for your skin. most people eat so much junk/supermarket food full of chemicals.. so for them it would make no difference i suppose. but yes, i wholeheartedly agree with don’t put anything on your skin that you cannot eat. because obviously your skin absorbs as much as your intestines. so for people that see their body as their temple its the only way ti live. and oils that have not been heated / processed / natural smell removed are always better because it’s vitamin / nutrient range is still intact and they are closer to nature. don’t let the wool be pulled over your eyes! think for yourself! I’ve been using organic, extra virgin, cold-pressed olive oil with a little lavender essential oil added to it as a facial moisturizer for years. It’s economical and so easy to use. A little goes a long way. I simply place a few drops on my finger tips, rub my hands together, then gently rub all over my face. A thin coating is all you need. If you accidentally apply too much, just dampen a washcloth and gently wipe away the excess oil. I live in a very cold dry winter climate and there is nothing better than the olive oil/lavender blend to keep my skin happy. It also helps reduce redness and wrinkles and helps lighten acne scars. I love it. If you’re worried about breakouts, consider what might be causing them? It could be diet related. Mine was. I hope this helps! Hi, I’m here in Phil. also. I also want to try oils on my face so I bought grapeseed oil from Vomfass, It’s still waiting to be used. Can you share please if you use the olitalia grape seed? Did you break out? What I’ve learned is thst using food grade oils is fine, but you want to get virgin and unrefined oils so that they have all the nutrients.